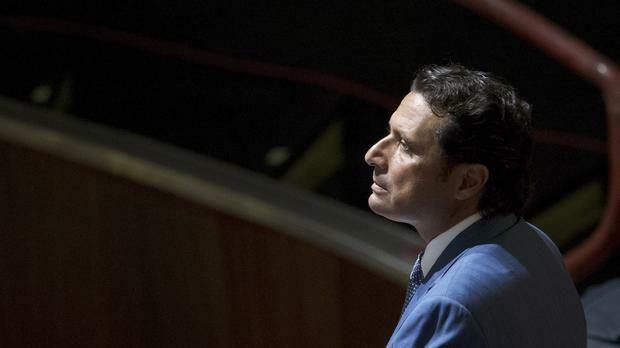 Prosecutors have asked a court to convict the captain of the Costa Concordia and sentence him to 26 years in prison for the 2012 shipwreck off Tuscany that killed 32 people, saying the term is hardly excessive given the death toll. Prosecutor Maria Navarro made the request on Monday, saying the trial has proved that Captain Francesco Schettino "thought only and always about himself". Schettino is being tried for manslaughter, causing the shipwreck and abandoning the Concordia while many passengers and crew members were still aboard. He has said he saved lives by steering the liner toward shore after it ran aground on rocks that were not on his charts. In her closing statements, Ms Navarro accused Schettino of lying from the start and saving his life "without even getting his shoes wet".